Congratulations! It’s time to hire a bookkeeper! You business is growing and you’ve now made the wise decision to outsource your bookkeeping so that you can focus your time and energy on growing your business. So, what would you ask a bookkeeper before you hired them to make sure that they were right for you and your business? What it comes down to is that for many business owners they actually have no clue what to ask. 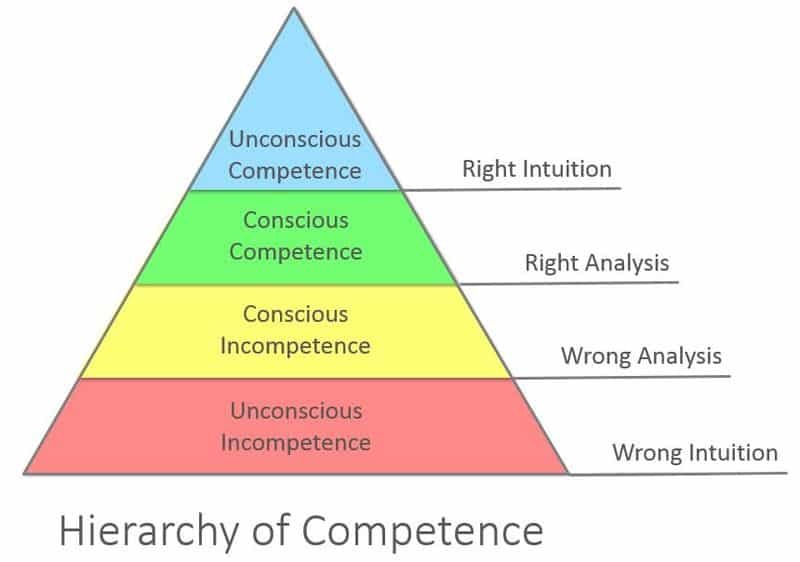 This is not surprising because, for many business owners, qualifying potential bookkeepers falls under their “unconscious incompetence” stage of understanding. Most business owners simply don’t know what they don’t know when it comes to asking the right questions before hire a bookkeeper (or changing bookkeepers). The problem is that this is a major risk for your business. Would you rush into hiring staff or systemising your customer onboarding process without carefully considering what the best choices are for your business? 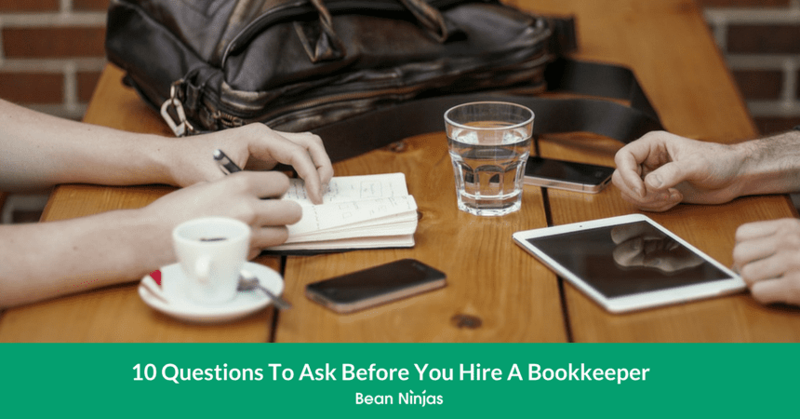 So we wouldn’t recommend that you rush into hiring a bookkeeper without asking them some key questions to determine whether or not they are a right fit for your business. Here are 10 questions that will help you decide if a bookkeeper is right for you or not. 1. What is the scope of the bookkeeping work? This may sound like a simple question, but there is a big variation between the services that bookkeepers offer. Your requirements will also vary depending on your own skills and the scope of the work your accountant completes. Some bookkeepers act as management accountants and can help to interpret the figures and other bookkeeper’s skills are limited to data entry. Entering supplier bills and paying suppliers? 2. Are they registered and qualified? You will find that some bookkeepers will have a diploma, accounting degree or may even be Chartered Accountants or CPAs. If your bookkeeper is going to be lodging your BAS in Australia than at a minimum your bookkeeper should be a Registered BAS agent. BAS agents are registered with the Tax Practitioners Board. 3. What is their level of expertise? You want your bookkeeper to process your accounts accurately and on-time and to communicate with you in a way that doesn’t take up much of your time. You don’t want to get to the end of the financial year and have to pay your accountant to clean up a mess. You probably aren’t an expert bookkeeper, so sometimes it can be hard to work out what level of expertise the bookkeeper you are engaging is. A good bookkeeper processes transactions accurately, but a great bookkeeper can go back and review their own work to identify errors and then correct them. You could ask about what methods they use to review their own work. You could also ask to talk with one of their clients or an accountant that they work with. 4. How familiar are they with your industry? If the bookkeeper is unfamiliar with your industry there may be a learning curve while they familiarise themselves. We recommend asking whether they have any other clients in your industry (past or present), and ask them to give a few examples of common bookkeeping issues that come up related to your industry and how they would resolve them. 5. How do they communicate with their clients? Processing the day to day transactions in your accounting software is one element of bookkeeping. It is likely that you are going to be communicating regularly with your bookkeeper, especially in the first few months of working together. As a business owner your time is valuable and working with a bookkeeper who takes up hours of your time with ineffective communication will slow down your business growth. What are they like to communicate with? Are they clear and concise, and speak or write in language that makes sense to you? Make sure to ask how they normally communicate with their clients. This will usually be via phone or email. If you prefer phone calls then ask whether your bookkeeper offers phone support. If you prefer email correspondence then reflect on the emails you’ve received from them so far. 6. What can you expect around delivery times and response times? A common complaint about bookkeepers is that they can be slow to respond to emails and that the bookkeeping isn’t completed to a set schedule. Ask about what you can expect each week / month from them and what the expected response times are you to your questions. Here at Bean Ninjas we are currently focused on streamlining our operations in order to improve our response times. 7. Are you hiring the bookkeeper directly or working with a bookkeeping business? If you hire a bookkeeper directly who isn’t part of a bigger team then ask questions about a back-up plan. What will you do if this bookkeeper is sick or has an accident? 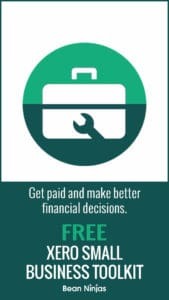 How will you make sure your team and suppliers get paid and your customers are paying you? Hiring a bookkeeping business rather than an individual bookkeeper helps spread the risk. However with a bookkeeping team it is likely that the person you are scoping out the bookkeeping job with will be different to the team member who does your processing. In this case, ask about what quality control and internal review procedures they have. For example, at Bean Ninjas all client work is reviewed by a Team Leader or Manager before going to a client. 8. How do they protect their clients? You are sharing your financial information with a bookkeeper, so you need to feel like you can trust them. You will probably get a feel for this during the initial scoping process. Ask about internal controls and segregation of duties. The term ‘segregation of duties’ means that rather than having one person responsible for every aspect of a role, split the responsibilities among multiple people. We recommend that you create a segregation of duties between the role of the person completing bank reconciliations and the person raising invoices or paying bills. 9. How do they price their services? How will the bookkeeper charge? Is there a fixed monthly fee or do they charge by the hour? The trend in bookkeeping is to charge a fixed rate. If this is the case, make sure you are clear about what is and isn’t included in that fixed rate. 10. Who will own the Xero subscription? This is important! We recommend that the business owner holds the subscription in their own name and then invites the accountant and bookkeeper into the Xero file. There have been instances of accountants refusing to give access to Xero where there have been disputes over bills. We believe clients ‘own’ their data and recommend they hold the Xero subscription in their name. So there you have it, 10 powerful questions that you can ask your potential bookkeeper to ensure that whoever you’re about to hire is credible, qualified, knowledgeable, and has your best interest in mind. Want to download all 10 questions in a free and easy to reference PDF checklist? Grab it below now.